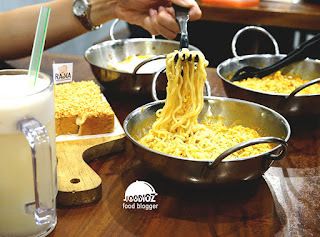 One of trending spot in Jakarta is Warung Indomie & Ropang that has been easy to found around this town. Just as we know, instant noodles is one of favorable food for people in Indonesia since while ago. 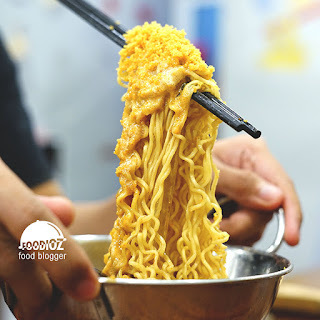 Instant noodles with various of choices and still keep going with new flavor until this moment. 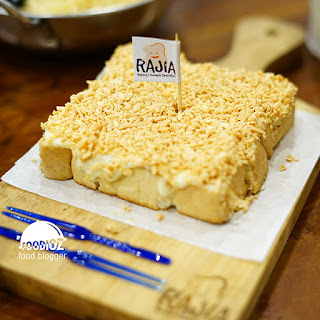 Rajia is spotted at the way in to Citra Garden 6 houses where it is filled by many restaurants and cafe also street food at the side of street. 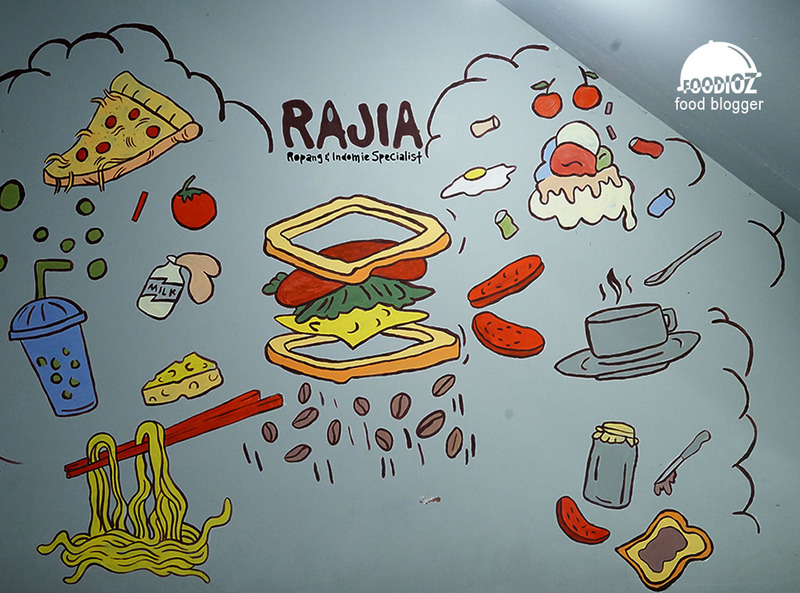 During weekend evening, Rajia has been crowded by customers especially young generation spending time with friends while enjoy meals or drinks in here. 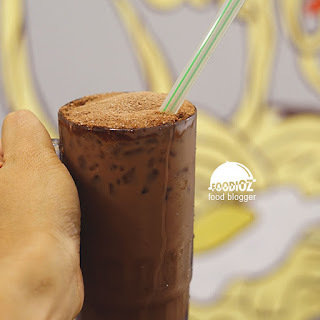 It is considered has a tiny and minimalist space of restaurant with simple and plain interior. 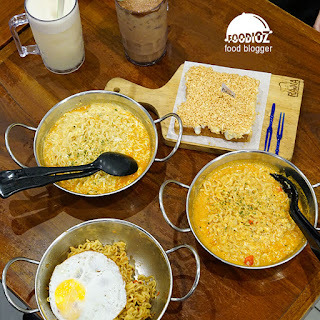 Using wooden tables & chairs, then plain grey color wall with some of cute color painting imaging a bunch of foods those are available in there. 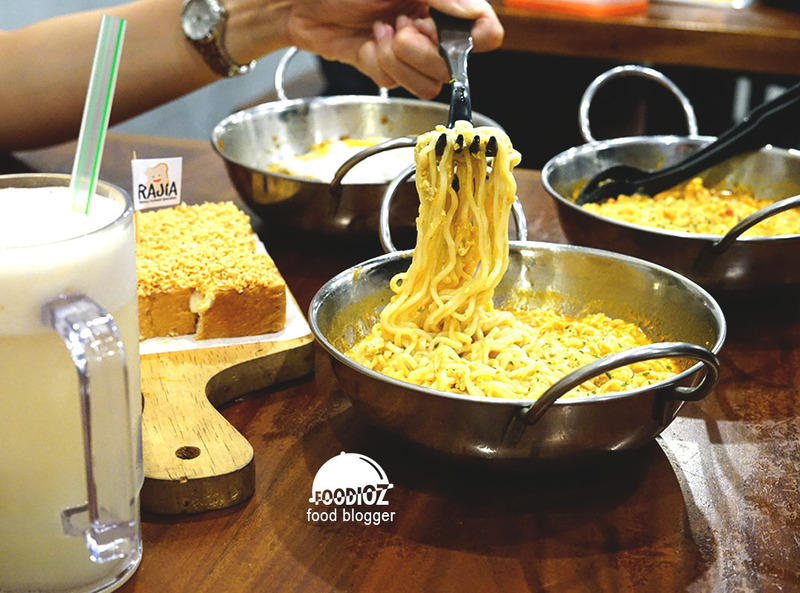 food offered here sure not far from instant noodles or toast bread. 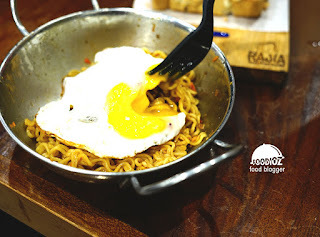 This time i was try their new menu, and one interesting dish here Mie Godok. As we know, Mie godog is one of dish that came from Java or normally we call it boiled noodles. In Rajia, we could taste a good sensation by having instant noodles with different cooking style, Godog. Other than that, we could pick any level of spicy for our noodles. 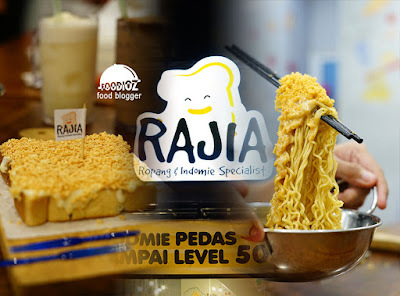 For spicy lover, Rajia should be a perfect spot for having good instant noodles with nice taste and great spicy sensation. Only little matter here was a we nee to wait for quite long time for our dish, i guess maybe because there was full crowded by customers and staff seems overwhelmed that time. For price, i can assure you they do offer a much affordable food. 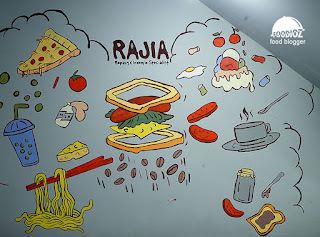 Just as the concept is modest eatery, indeed Rajia is here for hang out place with good meals and an affordable price also comfortable.